Mr.Zsolt is dedicated to providing you with an angling experience of a lifetime. 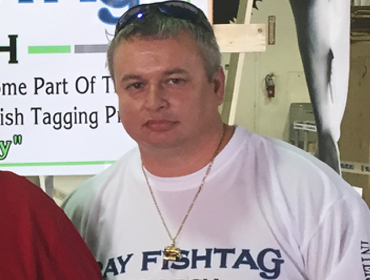 He has been fishing the Florida waters for over 14 years, manufacturing Power assisted fishing reels for over 28 years. Zsolt Szekely is a powerful business driver whose entrepreneurial instincts and clarity of vision have carried multiple companies through rapid and continuous growth. Zsolt started his first business, a Forest Protection Company, at age 15, and has been an unstoppable force ever since. From a Forest Protection consultancy, he moved into banking management, sales, business development, sales management and then senior-level Executive and Owner CEO positions. In every company, including Global Friendship Foundation, Aaron tool Inc, Hungarian Investment Bank, Seko Management Inc, Universal Film, State Department, Eco Fishing Adventures, Niagara Wellness Company, Seko Legal Services, Seko Music Management, Stargate Production and Dolphin Electreel Company. Zsolt has achieved outstanding personal and team results. He finds his greatest motivation in coaching others to perform above and beyond expectations. Zsolt is distinguished by his passion for business, his focus on collaborative team-building, and his commitment to meeting customer and market demands. His contagious enthusiasm instills him and his team members with extraordinary energy and dedication in an environment where creativity and innovation are encouraged. Zsolt does not just set out ambitious goals … he motivates people to deliver. A dynamic public speaker, Zsolt is a sought-after presenter at meetings and conferences for the cruise, ferry and maritime industries. He transmits key concepts in Business Innovation supported by smart adoption of technology—with emphasis on revenue opportunities & impact, efficiency, enhanced passenger experience, and new business opportunities.